When you receive your course syllabi in September, be sure to read through and make sure that all necessary information is included. This past spring, the Arts & Science Students’ Union (ASSU) analyzed 93 syllabi from across the Faculty of Arts & Science to ensure compliance with mandatory elements of the course syallbus, as outlined in the Academic Handbook for Instructors. The mandatory elements include instructor contact information, term test dates, office hours, and assignment weights. ASSU presented the study findings in a report released in late July. The report included a number of recommendations, including strengthening language on student requirements, increasing oversight from academic units, enhancing communication around Turnitin.com, and late penalty policies. 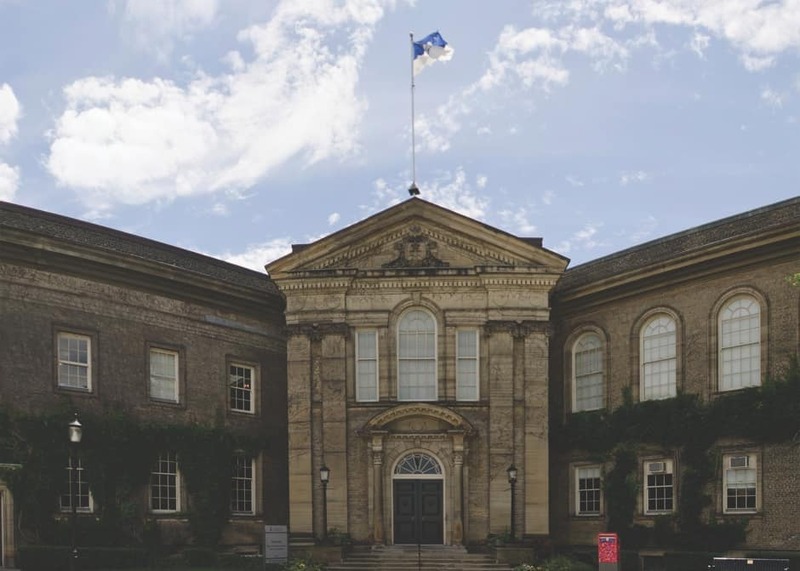 According to Michael Kurts, U of T assistant vice-president, strategic communications & marketing, David Cameron, the dean of the Faculty of Arts & Science, encouraged ASSU to complete the report and share it with the faculty. Kurts added that shortly after receiving a draft of the report, the Faculty of Arts & Science generated a one-page document on guidelines for course syllabi that was distributed to all academic units. The document reiterated the mandatory elements of a course syllabus. The ASSU study found that, while most course syllabi complied with the requirement for the instructor’s office hours to be listed, 22 per cent of surveyed documents failed to include this information. Approximately 10 per cent of syllabi in the study also failed to include contact information of any kind. Of those courses where contact information had been provided, the instructions and means by which students should communicate with instructors varied widely. 40 per cent of all the documents surveyed found that instructors included in their contact information a means to reach them through both e-mail, and phone. Only five per cent included telephone information as the means of contact. “Faculty policy stipulates that instructors must hold office hours, and information about the location and times of the office hours must be included in the course syllabus,” said ASSU treasurer Dylan Chauvin-Smith. Additionally, although all of the syllabi in the study included a marking breakdown, as required by the Academic Handbook for Instructors, a marking scheme on one syllabus included assignment weights that added up to 105 per cent. 10 of the 93 syllabi in the study also failed to meet the requirement that term work deadlines should not be extended into the final examination period. While the report did not include a benchmark to distinguish between good and negative results, Chauvin-Smith called the findings unacceptable. “These policies are not arbitrary. [T]hey are put in place to ensure that students receive vital course information,” he said. The report also highlighted other persistent problems associated with the use of language within the sampled syllabi. ASSU recommended that the Faculty of Arts & Science consider the adoption of an automatic syllabus generator that could help instructors build syllabi that included all required elements. Kurts said that, in the long-run, the Faculty of Arts & Science is looking into creating a tool that will make the mandatory elements of a course syllabus digitally accessible to students. The report also looked into compliance with voluntary components of course syllabi, including information on Turnitin.com and late penalties. According to the report, just one in 15 syllabi indicated that the use of Turnitin.com was voluntary. The university’s policy on the use of Turnitin.com states that students who do not wish to use the plagiarism detection service must be provided with an alternative means of verifying the originality of their work. Instructors are also required to inform students if they intend to use Turnitin.com. Kurts urged students to remember that each course syllabus remains the intellectual property of the course instructor. “The faculty expects and insists that each syllabus include the required elements, but in no way intends to mandate a common or uniform syllabus. Instructors must be left free, beyond the required pieces, to design the syllabus they think will best suit their needs in their courses,” said Kurts. Chauvin-Smith expressed optimism that the report would increase student awareness of academic issues. “While most students are unaware of the myriad of policies which govern the academic function of the university, students must be informed and reminded of key issues to ensure compliance, and deal with issues of non- compliance,” he says. 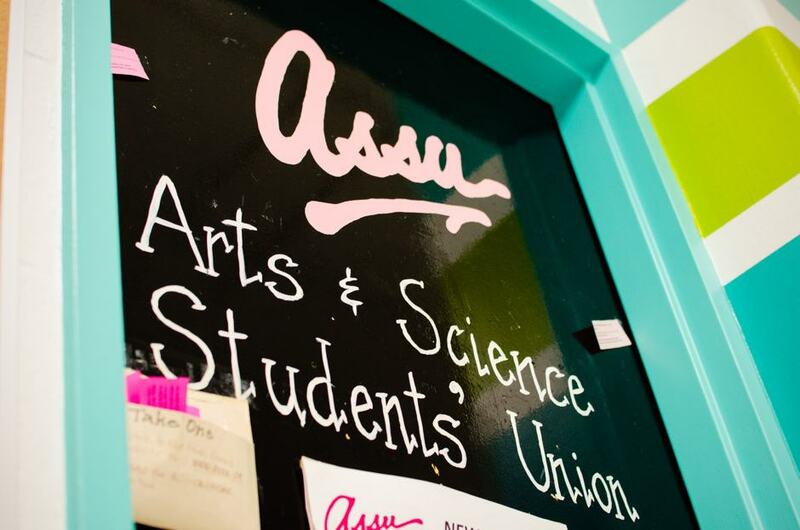 ASSU has submitted its final report to the Faculty of Arts & Science, and is working with the faculty to make instructors aware of the mandatory elements of a course syllabus. 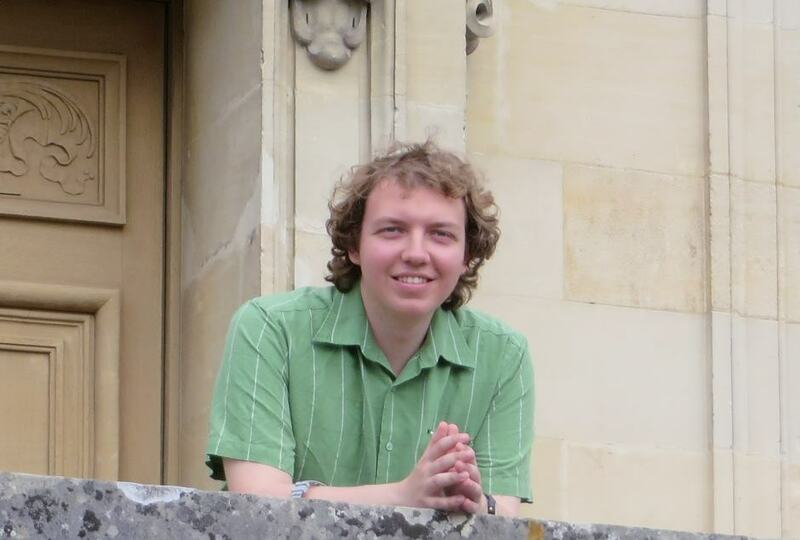 Alexander Sodiqov, the University of Toronto PhD student arrested in Tajikistan on suspicion of espionage, has been released on bail. He remains unable to leave his home in Tajikistan as an investigation on his activities continues. Sodiqov is a political science PhD candidate at U of T. A native of Tajikistan, he was working as a researcher with the University of Exeter on a project called “Rising Powers and Conflict Management in Central Asia,” when he was arrested on June 16 in the city of Khorog on suspicion of espionage for a foreign country. Khorog, a city near the Afghan border, was the site of an anti-government conflict in 2012. The case sparked international backlash. Numerous scholars and human rights groups, including Human Rights Watch, Reporters Without Borders, and Amnesty International, protested the arrest as a violation of academic freedom. Professor Edward Schatz, chair of the Department of Political Science at UTM and Sodiqov’s academic supervisor, said he has spoken with Sodiqov. Shortly after the Sodiqov was detained, Schatz created a petition for concerned scholars. “I have been in contact with his wife Musharraf and with Alex,” said Schatz. “He is in relatively good spirits, although — as one would expect — he’s also anxious for the investigation to finish, so that he can return to his studies,” Schatz says. Blackburn-Evans said the university has a number of policies in place to ensure student safety while studying abroad. “The university takes very seriously the safety of its students while studying abroad. All international travel related to a program of study and other university-sponsored or organized international travel should be planned and organized in compliance with the Guidelines on Safety Abroad,” she said. Schatz said that most of the university’s efforts — which were coordinated with the University of Exeter — occurred behind-the-scenes. Schatz also disagreed with some of the criticism that the university received for its response. “We should not necessarily equate visible action with effective action. Sometimes quiet efforts are the most effective ones,” he said. Abdullah Shihipar, president of the Arts & Science Students’ Union (ASSU) said that the university must do more to ensure the safety and security of students abroad. “While [U of T] has expressed concern and is working with NGOs [non-governmental organizations] to secure Sodiqov’s release and should be commended for that, we also believe that in light of this, the university needs to do more to ensure that all of its students — Canadian citizens or otherwise — are protected and safe,” he said. Shihipar also characterized Sodiqov’s detention as a threat to academic freedom and integrity around the world. “[The arrest] represents a great violation of the right academics have to conduct their work without impediment from the state and in peace and security. 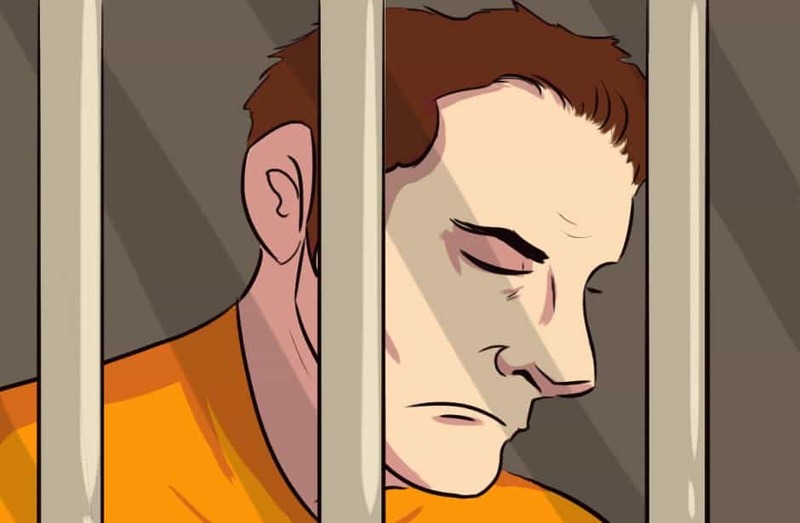 Academic freedom is at the heart of every institution’s work and students and community members are right to be alarmed at this arrest,” he added. Jozef Kosc, a fourth-year political science and history student, has already made a name for himself in the foreign policy world. Kosc is a research fellow at the North Atlantic Treaty Organization (NATO) Council of Canada, an International Security Analyst at the Atlantic Council of the UK, and a youth diplomat. He has also written for several international publications including The Journal of Political Studies and Atlantic Voices. Last May, Kosc was invited to participate in strategic defence briefings on Eastern European security at NATO headquarters and at Supreme Headquarters Allied Powers Europe (SHAPE). He was the world’s youngest civilian academic in attendance at these briefings. Kosc is currently spending his summer at the Organization for Economic Co-operation and Development (OECD) headquarters in Paris, where he researches economic development policies for the OECD Observer, a magazine that analyses global economic and social issues. According to Kosc, organization and prioritization allowed him to balance his coursework with his foreign policy work. “As an avid swimmer, waking up early to exercise is the key to keeping me focused throughout the day,” Kosc said. Kosc also cited the importance of guidance and support from friends and family. In 2013, Kosc was awarded the Canadian International Development Agency (CIDA) Students for Development Award for his work in promoting equitable education across sub-Saharan Africa. He attributed his interest in international security and development work to his travels. “Having backpacked across 32 countries in four continents over the past three years, and having witnessed oppression, poverty and violence firsthand, my perspective on development has changed from a focus on economy to one based more broadly on social policy and underlying security issues,” he said. Two transformative experiences had an impact on his outlook. One took place in the summer of 2012, when Kosc found himself in Cairo weeks after the election of Egyptian president Mohamed Morsi. Many of the locals he spoke to were hopeful of a new era of prosperity. According to Kosc, shortly after he left Egypt, optimism faded as an ambush of a military base on the Sinai Peninsula sparked a regional conflict. Weeks later, there were reports that while he was in Amman, the capital of Jordan, a major terrorist plot was being planned in that city. “Twice in a matter of weeks, the atmosphere had changed in a flash, and mere circumstances had worked to my benefit. I began to see security and stability as necessary for any kind of long-term development,” Kosc added. The second experience happened a year later in Cape Town. While returning from teaching at a high school in the suburb of Mowbray, Kosc was attacked and robbed by a man with a firearm. The encounter left him convinced of the importance of security for development. After graduation, Kosc plans to pursue graduate studies in international relations in the UK or US. “10 years from now, I hope to work for the Canadian Foreign Service, helping my country wherever I’m most needed. Having met diplomats during my time abroad, their duty, drive, and perseverance are qualities I’ve come to strongly admire,” Kosc said. This year, undergraduates are being asked to reach even further into their pockets to pay for university. International tuition fees are set to increase by an average of 7.2 per cent, while domestic tuition fees are set to increase by nearly three per cent. Domestic tuition fees are regulated under the Ontario Tuition Framework. Under the framework, domestic tuition fees are capped at three per cent per year for most programs and five per cent for graduate and professional programs. However, international tuition fee increases are not covered under the framework. International tuition fee increases are at the discretion of individual post-secondary institutions. 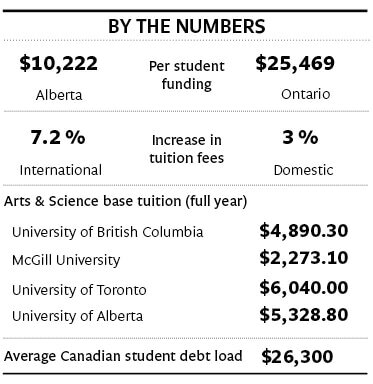 High tuition fees are, in part, the result of federal cutbacks to provincial education funding in 1995. That year, $7 billion dollars was deducted from the capital reserved for provincial social programs, including health care and education. Nearly 20 years later, this funding has not yet been replaced. Although the federal government continues to give financial aid to each province for post-secondary education, there is no system in place to guarantee that this reserved capital is sent to Canadian colleges and universities. Educational funding is contingent on the priorities of each provincial government, thus accounting for the varying degrees of tuition fees between each province. Alastair Woods, president of the Canadian Federation of Students (CFS), said that this provincial imbalance could lead to a negative trend in some provinces, with potentially harmful long-term consequences. “Government divestment is dangerous… It not only has consequences for individual students through increased student debt loads and financial barriers to attending school, but it has a broader economic effect since many students leave important decisions such as starting businesses, families, or buying a house to later in life as they attempt to pay off student loans,” said Woods. “[T]here is a very negative ripple effect of tuition fee increases that damages not only individual prospects, but the economic health of our communities,” he added. Undergraduates in Ontario are at the largest disadvantage. Over the past 20 years, the province held the record for the lowest per-student funding, with its average education capital reserve around 24 per cent below the national average. Ontario also has the highest post-secondary tuition fee rates in the country. Althea Blackburn-Evans, U of T director of news relations, attributed rising tuition fees to provincial government underfunding. “The Government of Ontario provides this province’s universities with the lowest level of per-student funding in Canada — by a wide margin. Provincial grants have remained flat the last few years. This means Ontario universities, including the University of Toronto, must rely increasingly on tuition revenues,” Blackburn-Evans said. According to May Nazar, a spokesperson for the Ministry of Training, Colleges, and Universities, the provincial government increased funding to post-secondary institutions by 83 per cent over the past 10 years. Per-student funding for universities increased by 29 per cent over that period. Nazar added that Ontario has one of the most comprehensive student financial aid programs in Canada, with over $1.1 billion in grants and loans given to students each year. “Investments in student financial assistance over the past 10 years have resulted in more than double the number of students qualifying for aid, while enrolment has increased by 40 per cent,” she added. According to Bollo-Kamara, the situation is even worse for international students. “At the University of Toronto, our international students pay the highest tuition fees in the country, and do not have the same access to services and healthcare that domestic students have,” she said. In 1994, Ontario disqualified international students from the Ontario Health Insurance Program (OHIP). “I feel like I’m in a violent circle of debt,” said Rebecca*, a third-year archaeology and religious studies major. “I initially went to school to get a degree so I can have a higher paying job after I graduate, but I feel unprepared for life after U of T. It seems [that] for social science and humanities students, there is no other option but further education, which means more debt,” she added. Before attending university, Rebecca, a mature student, spent three years saving money for her time at U of T, only to have spent it all in the first two years on tuition and course materials. She now has no choice but to apply for OSAP. While many undergraduate students view student debt as a questionable burden, some see U of T’s high tuition as justifiable. Bollo-Kamara called on U of T students to mobilize and influence provincial government policy. Nazar said that tuition fee figures used by Statistics Canada for Ontario are not entirely comparable with those in other provinces, due to data limitations and differences in the structure of postsecondary education systems across Canada. “Indeed, PSE systems vary widely among provinces and territories. One reason is that the mandates of colleges differ widely. In Ontario, colleges focus on labour market oriented programs whereas in some other provinces…colleges often act as university feeder institutions, delivering the first years of degree programs,” she added. According to Blackburn-Evans, U of T provides the most generous financial assistance of any Ontario university or college. Nearly half of U of T undergraduates are eligible for OSAP. On average, these students pay less than half of the university’s full tuition cost. On March 28, 2013, the Ministry of Training, Colleges, and Universities issued a new four-year Tuition Fee Framework policy. The previous framework, instituted in 2006-2007, capped the overall yearly tuition increases for domestic students at 5% and included an accessibility guarantee that assured a specific amount of government funding was set aside to help low-income students fund their education. Under the new framework the accessibility guarantee remains in place, but the fee increase is now capped at three per cent for domestic undergraduate students. 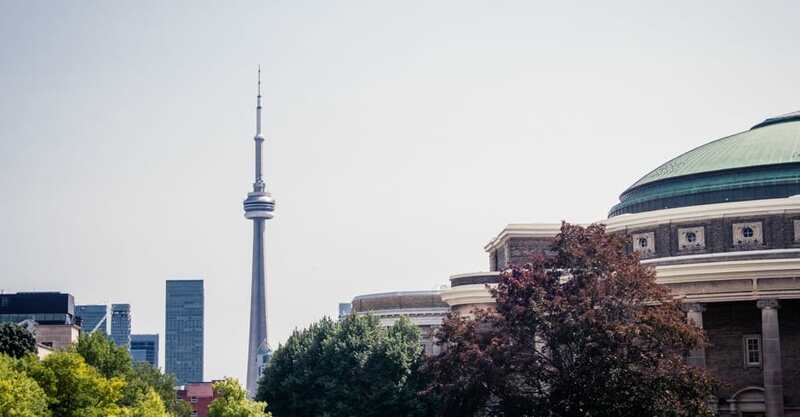 Prior to the Tuition Fee Framework revision, the provincial government upgraded OSAP by initiating the Ontario Tuition Grant (OTG), a program that awards low-income students a non-repayable grant of at least $840 per term. Correction: A visual in this article incorrectly states that per student funding in Alberta is $10,222 and per student funding in Ontario is $25,469. In fact, per student funding in Alberta is $25,469 and per student funding in Ontario is $10,222. Hart House Theatre boasts the title of the University of Toronto’s official theatre since 1919. 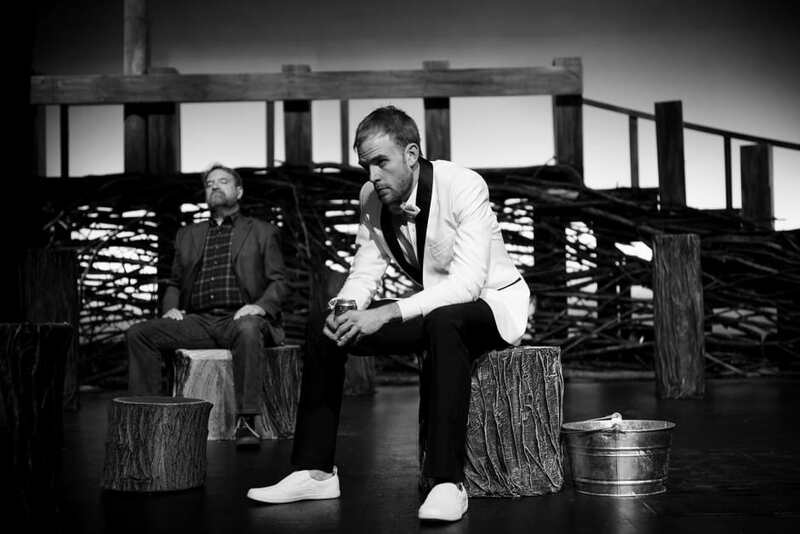 Professional actors and technicians come together with students and alumni to produce a four show season every year. Doug Floyd, the general manager, Andrea Wasserman, the marketing and publicity coordinator, and Gillian Lewis, the education and production coordinator, all spoke with The Varsity about the upcoming season, and how students can get involved. The Varsity: So the first thing to talk about is the season — why did you choose the shows that you did? Andrea Wasserman: So the season itself is The Importance of Being Earnest, The Tempest, Jesus Christ Superstar, and This Is For You, Anna. Doug Floyd: The Tempest hasn’t been done since the 50’s… it was one of the biggies we hadn’t touched. Superstar has been on our radar for about 15 years, so when the rights became available we went right to that. Neither of these shows are very funny, and we wanted to start the season with a comedy, so that’s where The Importance of Being Earnest came from. This is For You, Anna has also been on our shortlist for a while, and then seeing the production last year at the UCDP, we really wanted to make it part of our season. I think we have three shows with a broad mass appeal, and a third show that deserves that audience. TV: Can we talk more about This Is For You, Anna? Because I think that’s a really interesting show that students might not know about. DF: It’s the kind of play that you really need to have a conversation about after, so we’re going to have what we call a “discussion forum” after ­— it might be a key note speaker, or something along those lines. TV: Is there anything you’d like students to know about the theatre? DF: I would love for more students to audition for our shows ­— some students don’t think they can audition for us, but that’s absolutely not the case. One of our mandates is to have students in the audience, so if you get a student subscription it’s $40, so only $10 for a show. TV: And how would a student go about volunteering with Hart House Theatre? Gillian Lewis: So all the student positions at Hart House go through the education and production coordinator, who is me, so I interview, train and manage students. TV: So what kind of roles are there? GL: So, here at Hart House we say that no experience is necessary, but we are going to establish a hierarchy of positions. There are leadership roles, junior leadership roles, production roles, and entry-level positions. Entry-level positions are things like light runners, set painters and production assistants. TV: Why should students come work for Hart House Theatre? GL: Because it’s fun! Doug would always say that fun is a by-product of what we do. We put on some great shows, and it’s a really unique opportunity for students to mingle with theatrical professionals, regardless of [their] degree. Second-year University of Toronto Mississauga student Estelle Ah-Kiow represented Canada at the G(irls)20 Summit this past August in Australia, to discuss educational and economic empowerment for women. 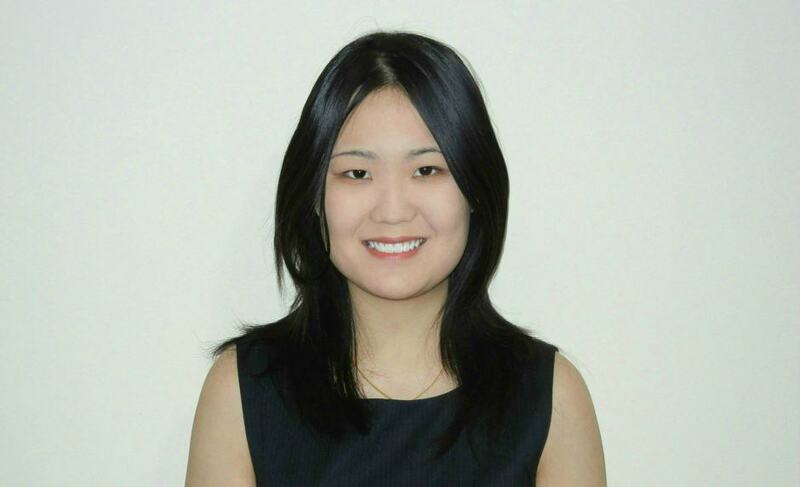 Of Chinese ancestry, raised in Mauritius, and an immigrant to Canada, Ah-Kiow actively participates in her community as part of Strength Within Girls Group (Swiggtalk), a non-profit organization founded by Dr. Liz Coulson, the secondary academic internship coordinator at the Ontario Institute for Studies In Education (OISE). The Varsity spoke with Ah-Kiow about the summit, women’s empowerment, and her plans for creating a mentorship program for at-risk girls in Mississauga. The Varsity: What motivated you to begin working for women’s empowerment? Estelle Ah-Kiow: One of the catalysts was reading the book Half the Sky: Turning Oppression into Opportunity for Women Worldwide by Nicholas Kristof and Sheryl WuDunn. I know that by a twist of fate, I could have been born in a country where my rights wouldn’t have been respected, where I wouldn’t have been able to receive an education, and where I wouldn’t have been able to participate in my country’s economy. So, I believe that I have a responsibility to be an advocate for those who are voiceless. TV: How does your background affect or intersect with your work with women? EAK: As a young woman from a minority group, who was not born in Canada, didn’t [speak] English as a first language, and suffers from a speech impediment, these experiences inform my views on certain issues. I believe that some experiences, like immigration, cannot be fully and organically understood unless you’ve been through it, and I think that this helps me better understand and relate to people who are from marginalized groups. TV: Could you specify some activities you do in your community for women’s empowerment? EAK: As a regular contributor to The Next Women Business Magazine, I interview high-profile entrepreneurs, who are leaders in their industries. It is fascinating to have conversations with these incredible women, and not only learn about their triumphs, but also about the challenges and roadblocks they’ve overcome in the business world. TV: Is there a stand-out story that reflects some challenges women face? TV: You’re clearly working with very daunting and complex issues. What motivates you to keep going? EAK: Three years ago, I spent some time in Maasailand, Kenya, where I met Vivian, one of the brightest minds I have ever encountered. Vivian, who was 13 years old at the time, was at the top of her class and dreamed of becoming a doctor. Unfortunately, she comes from a very poor family, and her parents, having six children, could not afford to send all of their kids to school, and decided it was best to educate their two boys. Just as I about to leave Kenya, I learned that Vivian’s parents would marry her off that summer. What keeps me going is thinking of Vivian, and other young girls and women, who are very bright and ambitious, but have no hope of achieving their dreams. TV: Could you tell me more about your idea for a mentorship program? EAK: Growing up, I didn’t know any female lawyers or doctors; I didn’t even think attending a university was a remote possibility. I believe that I wouldn’t have pursued many of my endeavours without the support of phenomenal mentors, who have guided me through my educational and career choices, championing me every step of the way. I hope to use the skills with which the G(irls)20 Summit will equip me to expand the mandate and reach of Swiggtalk by creating a mentorship program that will pair young female professionals with middle school girls living in Mississauga. By leveraging technology like Skype and Google Hangout, I want to facilitate mentor-mentee exchanges that will help these girls reach their full potential. TV: Who are some female mentors that were significant in helping you get to where you are now? EAK: I recently had the chance to spend time with Farah Mohamed, [the CEO of G(irls)20], and Carrie Kirkman [president of Jones New York Canada], and it was very inspiring to be around these incredible women, who are passionate about the work they do and are also fully committed to making a difference in the world. I believe that the simple act of being around people who inspire you is energizing, and this is one of the reasons why I want to create a mentorship program for young girls. Entering the first year of university generally marks a departure from the meticulously regimented educational path that Canadian students stride for during the first 12 years of their academic career. Suddenly, it is up to you to decide what programs to take, and how seriously to engage with academic responsibilities. Instead of hall passes, detention, and parent-teacher conferences, first year students grapple with the prospect of Con Hall lectures where nobody can demand your attendence. Instead of the mandatory mix of subjects and courses that generally characterizes high school, students must now decide for themselves what it is they are here to learn. In the face of this daunting decision, it is only natural that many seek guidance from parents, friends, and popular culture. We tend to adopt a sheep mentality, following the herd in hopes that the academic choices we make pay off with a lucrative job or prestigious graduate school. There is, perhaps, nothing objectively problematic with this trend. As the Harvard Crimson argued last year in their controversial editorial, “Let Them Eat Code,” the increasing digitization and mechanization of the modern economy demands a reciprocal surge in trained STEM undergraduates. The relative dearth of “hard” skills that English majors leave university with, compared with an engineering graduate, seems to make this phenomenon logically sound. Since university presents a significant financial and opportunity cost, who can blame a student for structuring their academic career around post-graduation and professional planning? Nevertheless, we cannot all be engineers, biologists, or programmers. It is, in my opinion, disturbing when a student whose true passion lies in the humanities, disregards this path in favor of the “practical” choice. This decision signifies a shortsighted perspective in which “hard skills” like data analysis and quantitative reasoning are the only ones that matter. It suggests that the professional and human benefits of a university education can be easily encapsulated in a few words or phrases. In reality, our academic, social, and personal lives at university affect us profoundly in a far broader sense. Besides the hard skills that STEM programs specialize in, we should recognize the importance of “soft” skills, as well of the subtle, even immeasurable, changes to an individual’s personality and perspective. “Soft” skills like critical thinking and communication abilities are developed particularly by an education in the humanities or social sciences. U of T’s president, Meric Gertler, referred to these skills as a “core set of capabilities to serve [students] well no matter what further educational or career opportunities they pursue.” In an interview with The Varsity, he argued that the ability to communicate effectively (verbally and in writing), critically consume information, and question arguments, benefits a professional career in a varied and flexible way. More important is the intellectual and personal growth that occurs during your university years. By engaging with your studies, and by striving and falling short, we can learn what drives us individually. We are exposed to a world of high culture in academia that inevitably expands our comfort zones if we choose to engage in it. By encountering a diverse set of people and ideas that challenge us to examine our own worldviews, social structures, and unexamined assumptions, we become more enlightened consumers, citizens, and thinkers. Whether academia intrinsically motivates us, or instead serves as a means to an end, there are two questions many of us ask, but they needn’t be mutually exclusive. It is possible that the university experience gives us clarity on the type of profession that can satisfy both our ideals and our pragmatism. Whether this growth is worth the cost of tuition is a value judgment that students, as the consumers of education, must make for themselves. University is not the only means to develop one’s personal and professional character. Professional school, international travel, and online education exist as an alternative way to transition into adult life. Nevertheless, non-STEM students should not fear that they are wasting their money, if their university experience provides them with a sharpened mind, expanded perspective, and a driven sense of direction. Lee Eames is a fourth-year student at Woodsworth College studying contemporary Asian studies and Buddhism and psychology. I recently found myself reading through the report from the Student Societies Summit from this past year. That I read the report should give an idea of how bored I was at the time because it is about as dull as only administrative reports can be. Indeed, from the tenor of the report, a casual reader might suffer the misimpression that the summit was a pro forma part of a policy review regularly scheduled by the university. This, of course, could not be further from the truth. 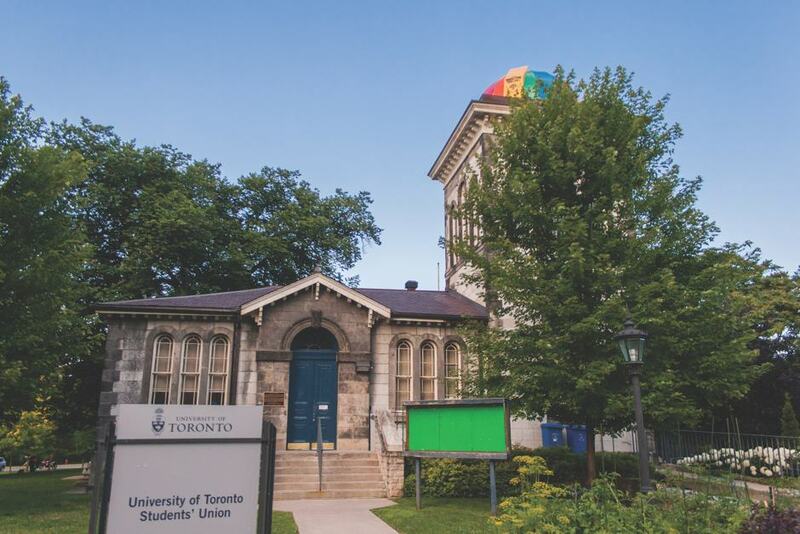 The facts behind the current crisis between the UTSU (University of Toronto Students’ Union) and dissenting colleges and faculties are remarkably simple and utterly outrageous. U of T collects mandatory fees from each of us as students, and distributes them to the UTSU, ostensibly to provide services for all U of T students. All other bodies at the university that receive mandatory fees from students use those fees solely to provide student services such as funding for clubs, the maintenance of athletic facilities, and the facilitation of academic programming. These are exactly the sort of things any incoming student would expect to be a part of a liberal education, and an intellectually diverse university experience. Every year the UTSU pays fees to the CFS (Canadian Federation of Students), a national political lobbying organization whose website advocates ideological positions on a variety of issues from opposition to free trade to a ban on bottled water. U of T students who disagree with the positions espoused by the UTSU still saw money walk out the door, in part from their paid fees to the UTSU. In recent years, the CFS has been engaged in a series of lawsuits from British Columbia (SFU and UVic) to Quebec (Concordia) all centering around individual universities’ student unions’ rights to leave the CFS. Even more distressing than the day-to-day conduct of the CFS at a national level is its quid pro quo relationship with a group of students at U of T itself. Every year, the UTSU sends membership fees to fund the CFS’ political wars, and every year the CFS endorses a slate of candidates running for the UTSU executive and sends in political operatives from universities around the GTA to assist its chosen slate electorally. Since the UTSU joined the CFS, the CFS-endorsed slate has held near complete control of the UTSU executive every single year. The crux of this issue is plain. There is a place on campus for political organizations funded by those who support them. There is also a place on campus for mandatory fees to be devoted to the services that naturally complement the sort of diverse education that attracts international students. There is no place for an organization that misappropriates our student fees and uses them to support a national political faction in its many struggles across the country. Fundraising for political causes is why we have donations. The use of student fees for political purposes violates the basic social contract upon which Western society is founded. The conduct of the CFS-related UTSU is morally wrong. Personally, it offends me and it should offend you too. Jeffrey Schulman is a second-year student at Trinity College studying classics.